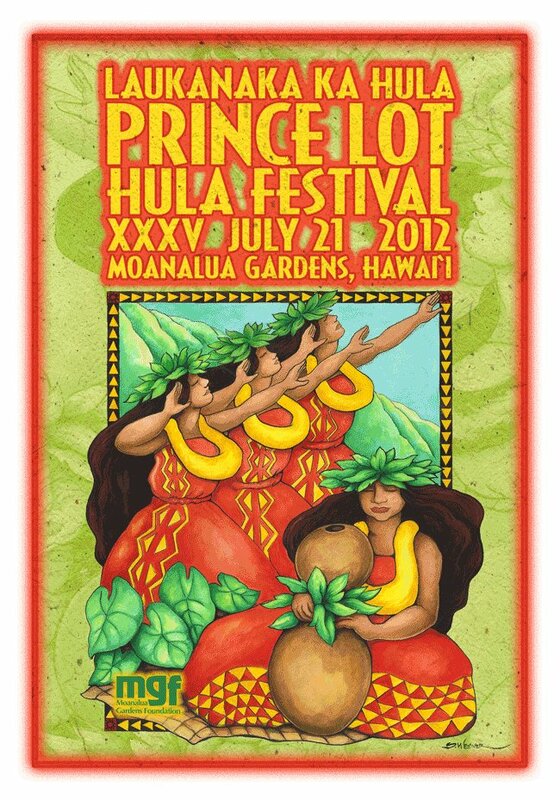 The largest non-competitive hula event in Hawai‘i, the festival is held each year to honor Prince Lot Kapua‘iwa who reprised the once banned hula in the district of Moanalua. “Our theme is based on a traditional ‘oli that talks about groups of hula people coming together to celebrate hula. Our theme Laukanaka Ka Hula … “A Multitude of Hula Groups Gather” speaks to people from all over who appreciate and love all aspects of hula.,” said Alika Jamile, MGF Executive Director and President. “Our opening ceremonies will include a special ho‘ike (show) in honor of noted kūpuna who have made important contributions to our Hawaiian culture and the hula,” Jamile stated. “Some of Hawai‘i’s most celebrated hula hālau will be invited to next year’s festival,” said Alika Jamile, MGF Executive Director and President. “In 2012, we plan on adding more cultural activities and workshops to enhance the experience for visitors and local residents alike,” Jamile said. The event will feature both hula kāhiko (ancient) hula and chant, and ‘auana (modern) hula performances. Dancers will perform on one of the few remaining pa hula (hula mounds) in Hawai‘i. Festival sponsors and supporters include the Hawaii Tourism Authority, State Foundation on Culture and the Arts, the Office of Hawaiian Affairs, the City and County of Honolulu, the National Endowment for the Arts, Aloha Pacific Credit Union, Hawaiian Airlines, Kamehameha Schools, ING Direct, Servco Foundation, the Hawai‘i Visitors and Convention Bureau, the O‘ahu Visitors Bureau, the Honolulu Star Advertiser, MidWeek and other businesses. A non-profit organization founded in 1970, Moanalua Gardens Foundation (MGF) is committed to preserving and perpetuating the native culture, environment, and people of Hawai‘i through education, celebration and stewardship of Kamananui Valley and Moanalua Gardens. Named in memory of King Kamehameha V, Prince Lot, the festival was founded in 1978 by MGF and now attracts up to 10,000 residents and visitors each year. Moanalua was a favorite recreation spot for Prince Lot, who is credited with reviving the hula in the district of Moanalua. His summer cottage can be found on the gardens’ grounds. The public, and visitors, are welcome and encouraged to bring their beach chairs and mats and enjoy the fun, food and festivities under the shady monkeypod trees of Moanalua Gardens. In addition to the festival announcement here, I have posted some images from Moanalua Gardens Foundation on last year’s Prince Lot Hula Festival in a folder of like name in the Photos section on my Facebook page.